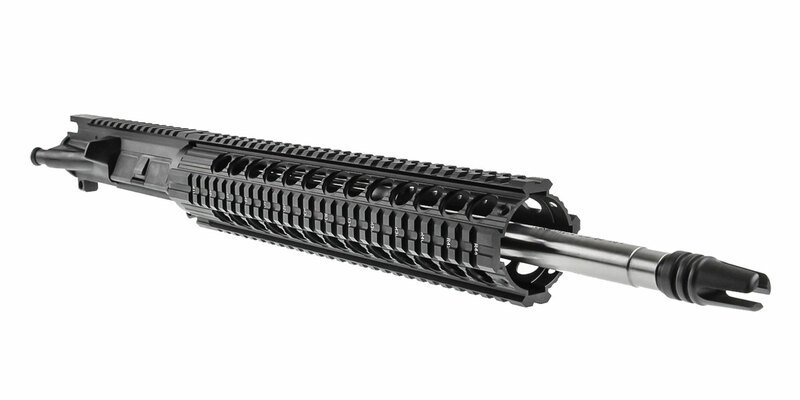 Shockwave is proud to introduce the patent-pending Blade pistol stabilizer. 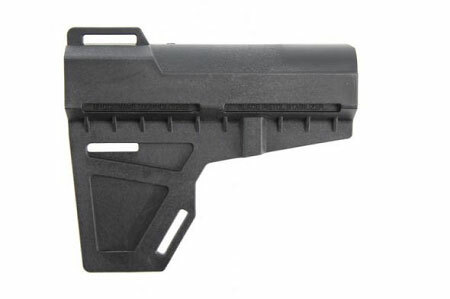 Made from high-strength glass-reinforced polymer, the Blade is manufactured to exacting tolerances and fits all pistols equipped with a standard AR-15 pistol buffer tube (up to 1.25” in diameter). No special receiver extension needed. No half-hour installation process. Just slip it on and tighten the large set screw for a rock-solid installation. This veteran-designed and USA-manufactured shooting aid improves your marksmanship by providing additional support of your pistol while you still hold and operate it with one hand. The Blade incorporates a vertical "Fin" which you stabilize against the inside of your forearm when in the firing position. Or, you can stabilize the Blade against your cheek for a perfect, steady sight picture. A FRACTION OF THE COST OF OTHER BRACE OPTIONS! 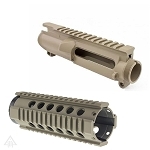 Fits all pistols equipped with a standard AR-15 pistol buffer tube (up to 1.25 in diameter) AR pattern, Glock, CZ Scorpion Evo 3, HK9X pattern, etc.